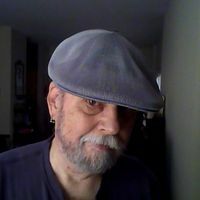 I am a retired US Army veteran of the Vietnam era having served in the late 1960's. After service ,I have worked a variety of different jobs ; bartender ,truck driver ,and finally spending 25 years as a parts counterman in a GM dealership until I was forced to retire due to health. My interests include but are not limited to ; reading, vintage automobiles ,firearms and shooting ,auto racing ,and of course ,writing. I also write a NSFW blog on tumblr every day.